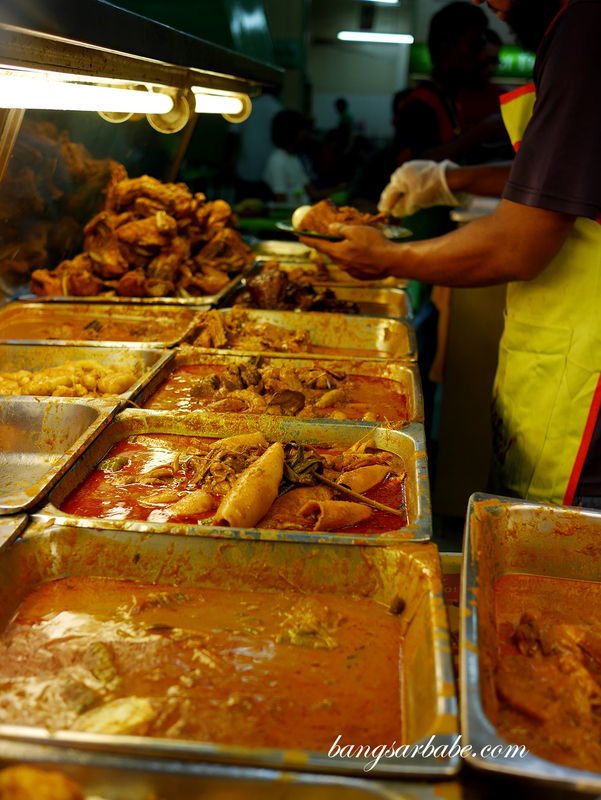 Nasi Kandar is one of my favourite things to eat in Penang – a meal I find quite impossible to resist given just how much I love my curries. 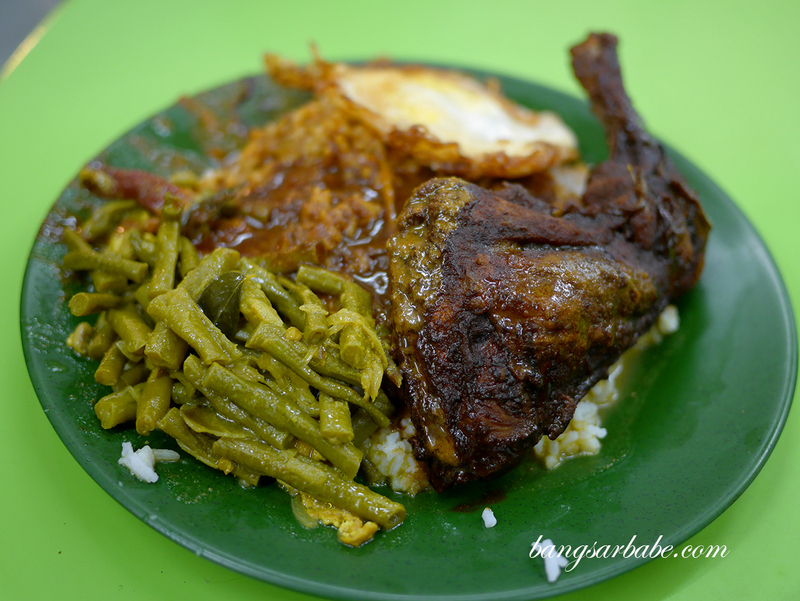 There’s just something about the combination of curries in nasi kandar that I find extremely addictive and no matter how stuffed I am from dinner, I can’t turn down a plate of curried rice with assorted toppings. 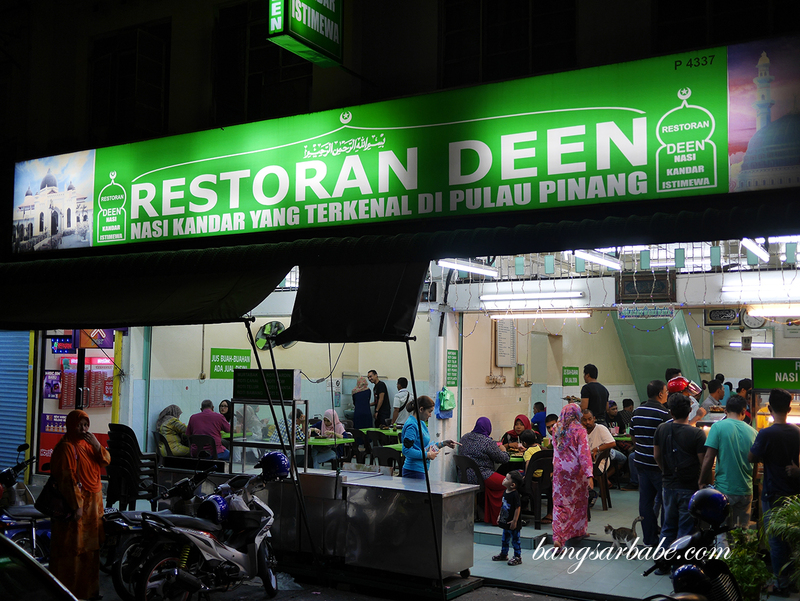 A friend of mine spoke about Deen Nasi Kandar in Jelutong a couple of times during our catch up sessions and I’m glad I gave it a shot. It was very good. That particular friend is also a nasi kandar fanatic and doesn’t think much about the famed Line Clear or even Nasi Kandar Beratur. 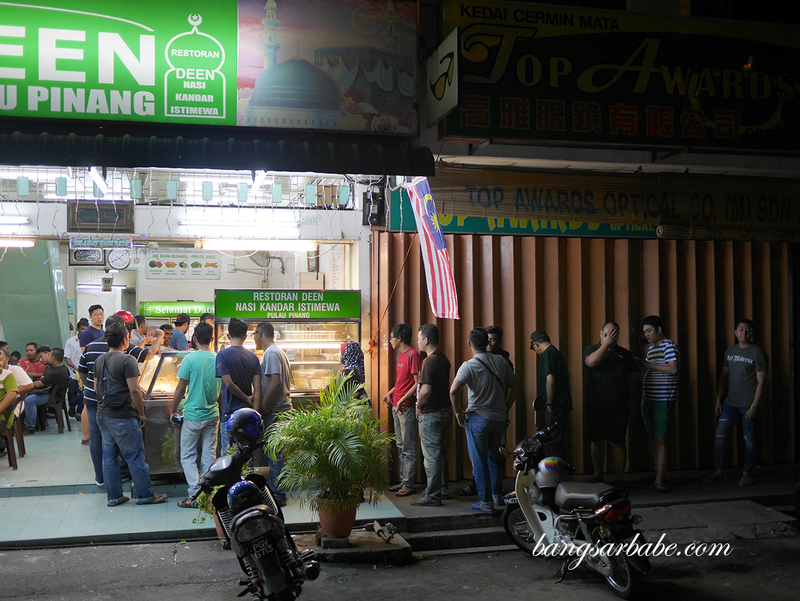 Instead, he sang praises about the curry at Deen Nasi Kandar, citing it as the best he’s ever eaten in Penang. Coming from someone in the F&B industry, that remark was immediately noted and the restaurant, bookmarked for a visit. rif and I got there at half past 9, and there was still a long queue. Granted it wasn’t as long as Beratur, it was still quite a wait – we waited for about 20 minutes before we got to the front of the queue. Squid and beef curry, with rice drenched in more curry! 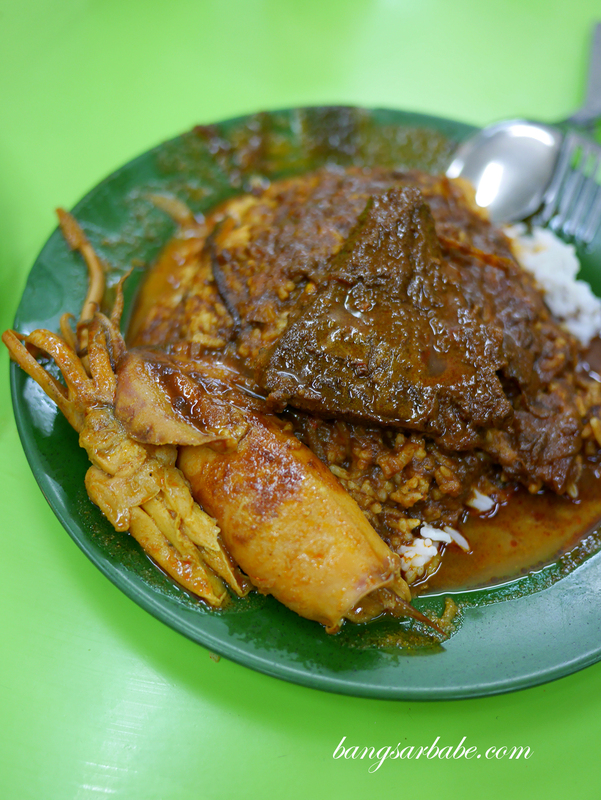 I got myself a plate of nasi kandar with beef and squid curry, and I swear the guy behind the counter judged me by size. He gave me a rather small piece of beef. Fortunately, the squid he served me was quite sizeable and my rice was drenched in a mixture of curries – thick and not so thick ones. 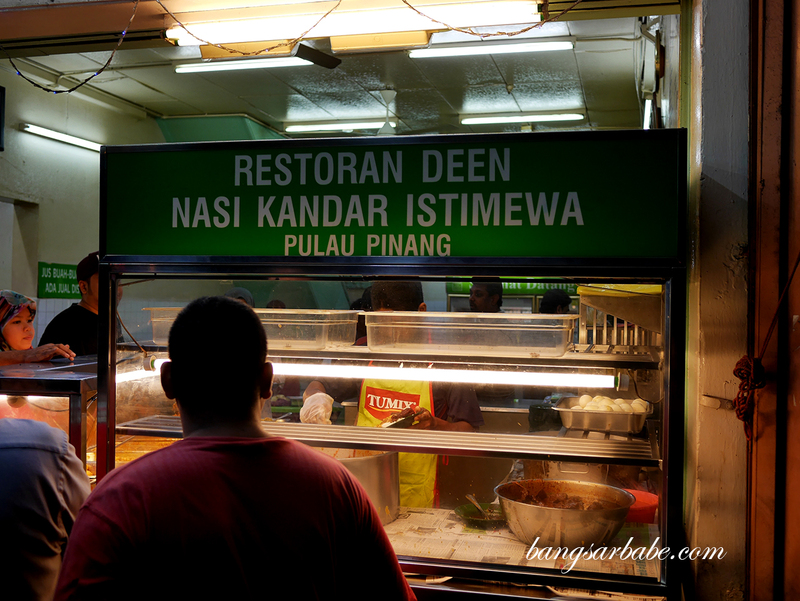 Many Penang friends tell me that I should only request for the “thick curries” when eating nasi kandar, but at Deen Nasi Kandar, even the diluted curries are tasty. They add a different flavour and aftertaste to the combination of curries. The squid was tender and rich in flavour, and my beef though slightly chewy, had well absorbed the delicious gravy it was soaked in. rif’s ayam kicap was also quite good, though the sides were slightly dry for the communal cooking I reckon. That said, it was still better than many ayam kicap I’ve eaten. 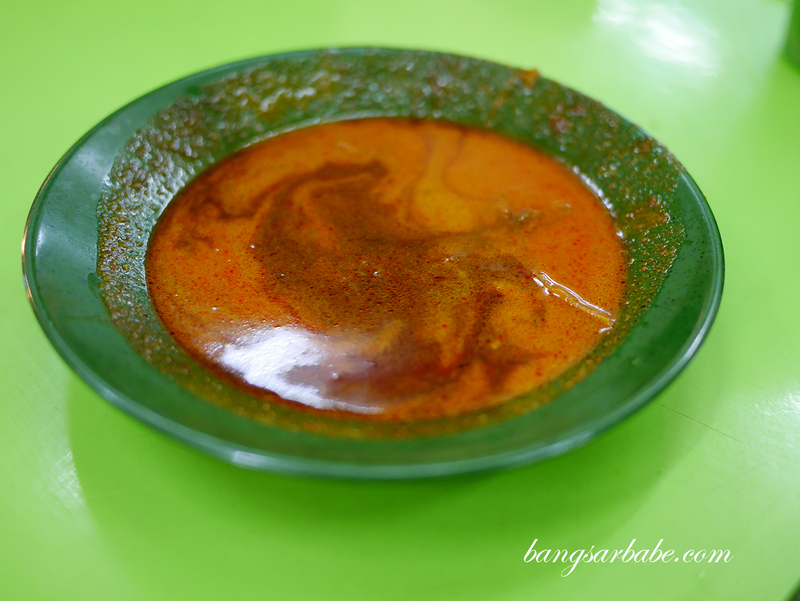 If only they had telur masin to go with this – that would be a good pair with the chicken and long beans curry. It may look like a sodden mess, but it’s a delicious mess! 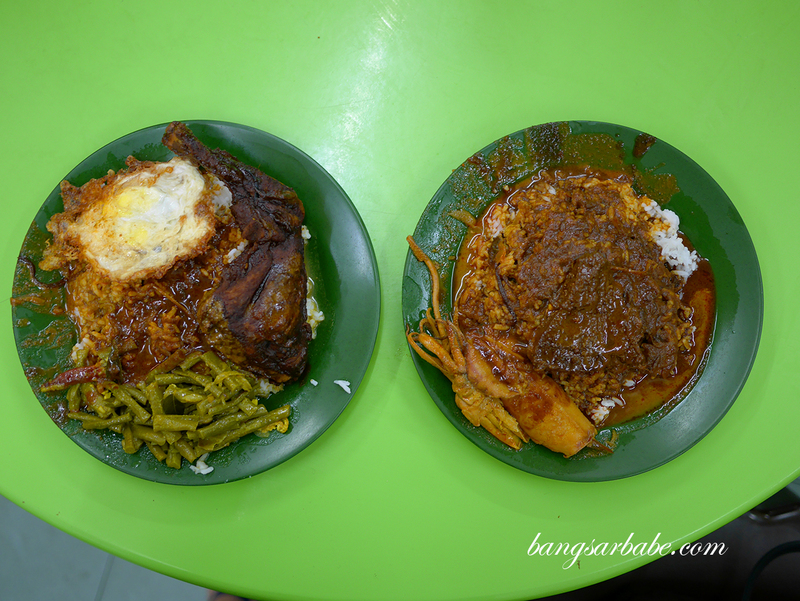 My plate of nasi kandar was RM9 while rif’s was RM8. Not too bad considering the items we took. Next time I go, I’m going to insist on a larger piece (maybe two!) of beef and more squid. 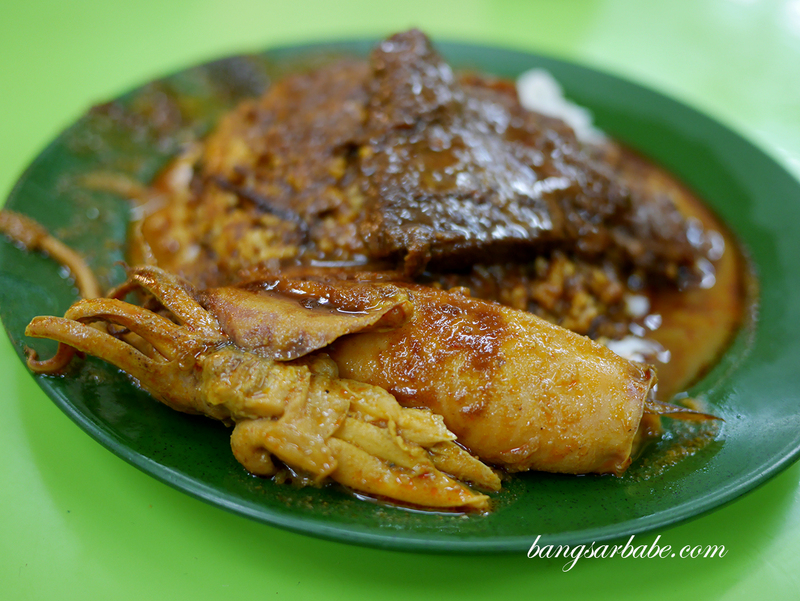 This currently takes the #1 spot in my nasi kandar list! 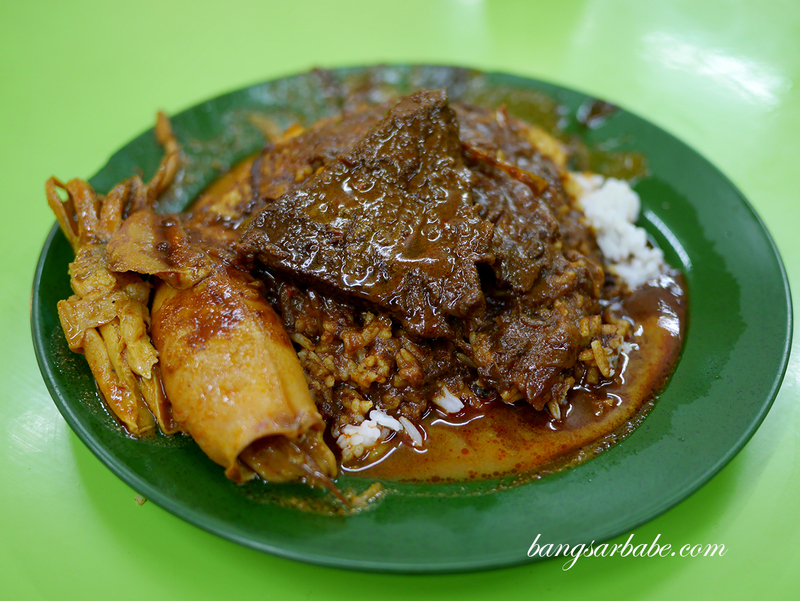 Verdict: This currently tops my Nasi Kandar list. 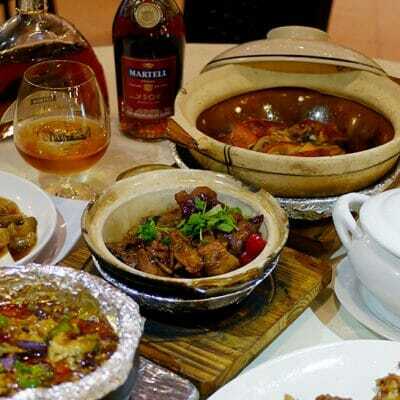 Try the sotong curry and ayam kicap. And don’t hold back on the curries — they are good!